There was no luck finding a surprise left behind at the old Ed Debevic's restaurant. CHICAGO (WLS) -- There was no luck finding a surprise left behind at the old Ed Debevic's restaurant. The magic duo "Penn and Teller" buried a time capsule in 1989. 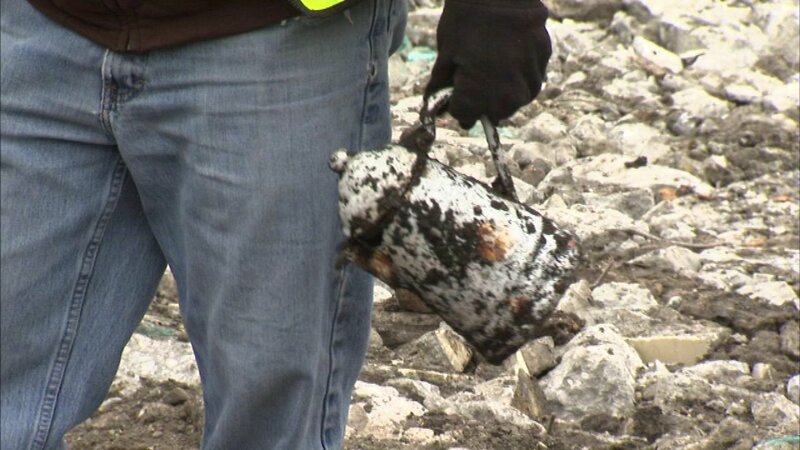 After a long search, the only thing that turned up on Tuesday was a woman's shoe and an old tea pot.